Where wood flooring is concerned, staining refers to the use of solid particles of pigments in a solvent to change the natural color of wood. What most people aren’t aware of is that wood staining is different from floor finishing. Of course, a professional can explain this and lead you through the processes, differences and effects of each, using clear and concise English, without jargon. Dyes and pigments are what make up the colour in stains that will be used on your floor; the difference between them depends on their solubility. You can also differentiate the two substances from their size. While dyes are dissolved in solvent, pigments are usually suspended in it. Most of the stains you‘ll find will contain both pigments dyes in varying degrees. The ratio and intensity will depend on the colour and effect you’re hoping to achieve, so our professionals will discuss with you to understand exactly what you want for you flooring. Staining however is not always recommended for all floor types. You‘ll need to consider the related effects and consult with our professionals before we go ahead to make recommendations. When undertaken by professionals, wood floor staining can give your floor a total face lift. In case of redecoration, you’ll find it cost effective to stain your floor, so that it blends in with your furniture. Wood staining requires the hands of skilled professionals like the kind BTown Flooring have on staff. Solid wood stains: This type of wood stain helps highlight the colour of the wood, whilst giving old wood a refreshed appearance and appeal. Most people choose these types of wood stains because they also protect the wood surface from direct sunlight, rain, and other natural factors. They are perfect for decks that experience lots of foot traffic. 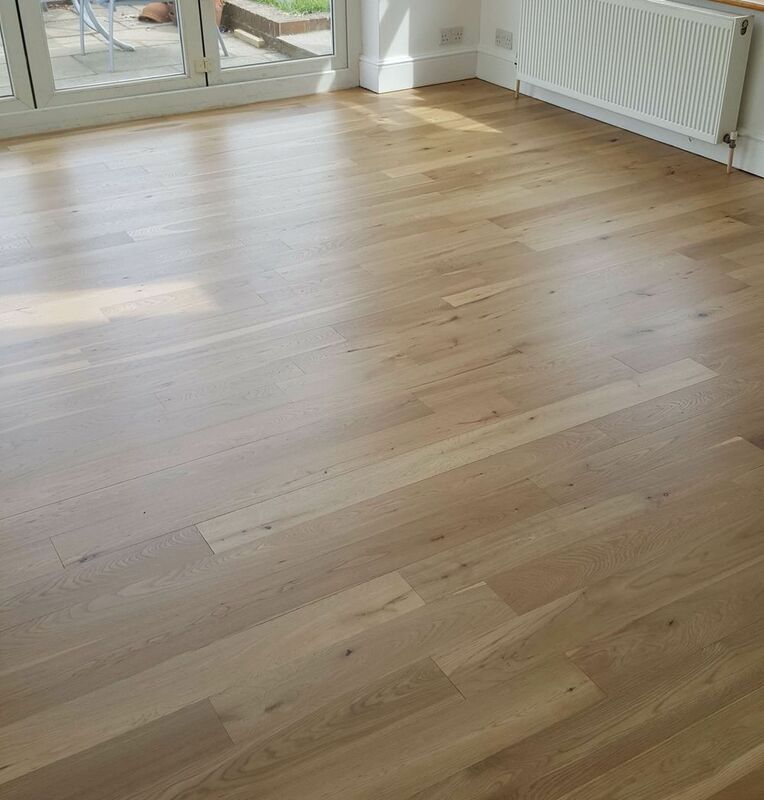 Clear sealants: This type of wood stain is perfect if you’re looking to highlight the natural grains of the wood, without applying much colour to the floor. 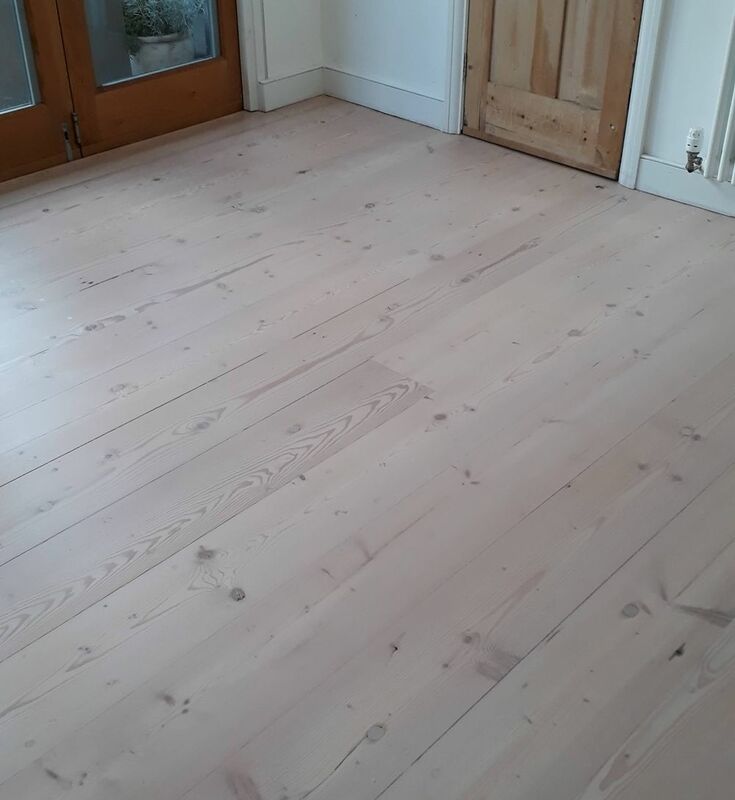 This type of stain seals the wood so that the natural colour can shine for a long time without washing off or being blocked by a deep stain colour. Semi transparent stains: These allow you to protect the quality of your wood and display it, whilst also letting you play with colours. In fact, they let you visibly change the appearance of the wood, depending on the tone you choose. Toners: These stains are great for when you want to change the colour of your wood, but still want to savour the appearance of the wood. They are a bit like clear sealants, as their appearance is a subtle mixture of the wood colour and tone given to it by the stain. There are many wood stains colours – simply pick any to fit your mood or the effect you want to create in the room or generally any personal connection you have with a particular colour. Whichever it is, you only have to tell us and we’ll have your floor beaming with it. Popular choices include pristine white and traditional brown colours. There are even floor stain colours for when you want a darker floor, which includes black and grey colour wood flooring. For those who prefer a less traditional and unconventional colour, a bronze and lime washed floor staining could be a good way to announce this. There are just so many tones and colours to choose from, but this ensures you have more than enough options to give your room that finesse you dream about. Some other stain colours include light, dark and medium oak colours, as well as ebony, mahogany, antique pine, teak, and American walnut staining colours. 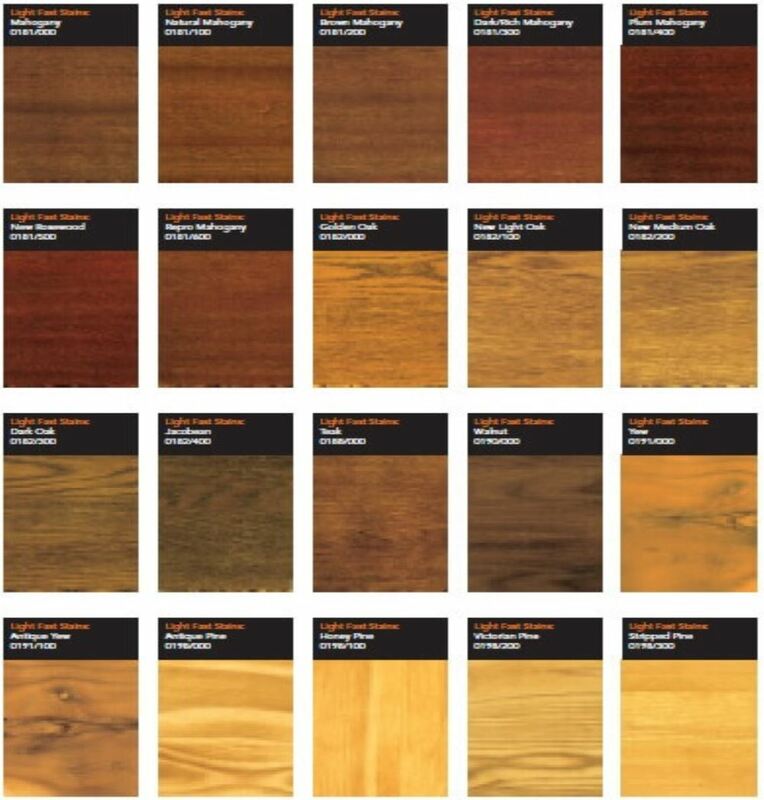 There are simply hundreds of these colours and we can provide samples to make your decision easier. Sometimes, our clients are not sure about the colour until they see a sample and become immediately attached. Applying stain on a hardwood floor must be carried out in a well ventilated room. Make sure to clean, dust, vacuum and even sand the floor properly. If the floor is recently sanded, mop it with a wet mop so that the stain will be well absorbed into the wood. However, the mop should of course be wrung out, so you don’t have water logged on one side of the floor. Then, use a sponge or rag to begin staining the floor. Start from one side of the room and move slowly to the other, applying the same amount of stain on all sides to give it an even look. We advise you always pick the stain colour that’s closest to that of the wood in order to achieve the best result. Give it a day or two to dry properly before applying polyurethane, which will protect the floor from wear. The staining itself doesn’t take too long – perhaps just a few hours. However, it takes about 24 to 48 hours before the stains dry. It will take longer if it’s an oil based stain. After that, you should start walking barefoot on the floor, preferably in socks and not shoes. How much is covered by a gallon of stain? Our professionals will take measurements of the rooms to determine how much of the product you’ll need. However, there are ways you can calculate how much will be covered by a gallon stain. Simply check on the label of the stain tin for the maximum covered; then, divide your total square footage. If you need, you can round it off to the next whole number to get an idea of how much it will take to cover your floors. The benefits of staining your floors are many. They allow homeowners to mimic the appearance of certain woods they love. They bring out the natural substance of the wood itself, thereby giving your floor some character, so that you can go for a more modern or traditional touch if you so please. Apart from the appeal, stain protects your floor from water, direct sunlight and even rot. No matter how careful you are, your floors will still see their fair share of water spillages, so it’s safe to have your floor stained to serve as a waterproof layer. A wood floor sanding expert may advise you against staining your floors for one reason or another – one of which might be that staining your floor makes sanding marks appear visible. This often happens when you contract an inexperienced sander. Also, some floors made from marble, birch, pine and fir (amongst others), are not meant to be stained. It is close to impossible to stain them evenly. The floor might also experience a bleed back, whereby some of the stains absorbed into the wood start coming to the surface after the solvent evaporates.